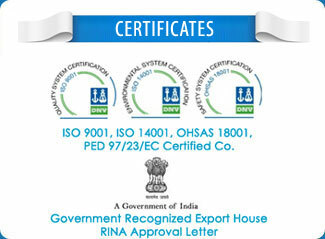 An ISO 9001, ISO 14001, OHSAS 18001 Certified Company & GOVT. OF INDIA RECOGNIZED EXPORT HOUSE, PED Certified, Ashtapad Overseas is India’s most trusted manufacturers & supplier of Stainless Steel 304L Welded Tubes in India, have India’s largest inventory of SS 304L Pipe, 304L SS Pipe in seamless & welded, Stainless Steel Pipes and Stainless Steel Tubes, pre-honed tubing, Steel tubing, SS 304L Honed Tubing, and Stainless Steel 304L Hydraulic Cylinder Tubes. We stock in our warehouse from round and square steel tube to rectangular, flat sided oval and tunnel section in Stainless Steel. 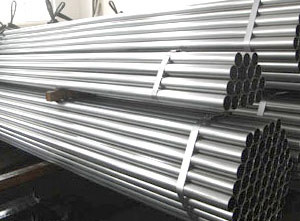 All Stainless Steel 304L Welded Tubes are in furnished in the heat-treated condition in accordance with the required heat treating temperature and cooling/ testing requirements material specification ASTM A312 and dimensional specification ANSI/ASME B36.19M and ANSI/ASME B36.10M Welded and Seamless Wrought Steel Pipe. Our wide range of stainless steel seamless pipes and stainless steel welded pipes conform to the prescribed tensile strength and yield strength & readily available in a size range of 6 NB (1⁄8”) to 600 NB (24”) in SCH 10 and SCH 40. We can also supply Stainless steel seamless pipes in heavier schedules such as SCH 80S, SCH 160 and XXS. 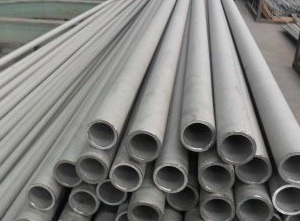 SS Pipe & Tube Grades TP304H, TP309H, TP309HCb, TP310H, TP310HCb, TP316H, TP321H, TP347H, and TP348H are modifications of Grades TP304, TP309Cb, TP309S, TP310Cb, TP310S, TP316, TP321, TP347, and TP348, and are intended for service at temperatures where creep and stress rupture properties are important. 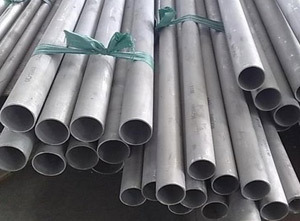 Stainless Steel 304L Welded Tubes composition having low nickel and molybdenum and exhibiting high corrosion resistance and good formability. 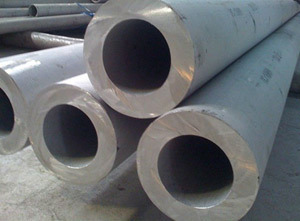 Stainless Steel 304L Welded Tubes are often chosen because of their resistance to corrosion, they are not immune to it. 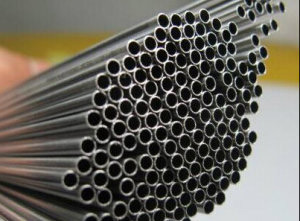 Stainless Steel 304L Pipes & Stainless Steel 304L Tubes are mostly used in space heating, oil and gas equipments, refrigeration, air conditioning, power stations, chemical plants, petrochemical plants, water and oil and gas transmission, petroleum refineries, natural-gas processing, sea water applications, and sewage treatment. Stainless Steel 304L Welded Tubes are preferred for transmission since they can withstand harsh climatic conditions and high internal and external pressure. 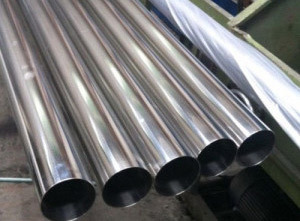 Generally Stainless Steel 304L Welded Tubes are less expensive, have narrower tolerances, thinner nominal wall thickness, better concentricity (outer/inner diameter OD/ID), higher internal surface quality and are often chosen since they can be produced in longer lengths with larger diameters. Initially all stainless steel tubular products were of seamless construction, but with improved metallurgy and welding processes, the benefits of welded products have diminished the use of seamless. AOD melting technology and precision cold-rolling/slitting processes combined with rapid technological leaps in welding techniques resulted in Stainless Steel 304L Welded Tubes supplies soon becoming the dominant market supply. Longitudinally welded stainless steel 304L tubes for pressure applications are fusion welded with inert gas protection with or without filler metal. The corrosion resistance of the weld is of the same level as the base metal and the strength higher than the base metal. Depending on the outer dimension, wall thickness and final application of Stainless Steel 304L Welded Tubes, there are different ways of manufacturing SS 304L welded tubes and pipes. 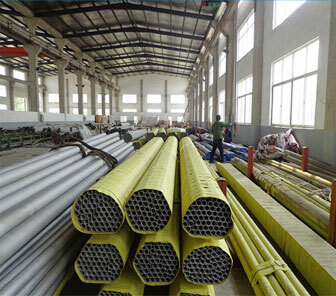 SS 304L Strip welded tubes are typically made in accordance with the production route. The material is decoiled, preferably into a strip accumulator which then enables continuous tube production. Looking for trusted dealer & distributor for Stainless Steel 304L Seamless Pipe in Indonesia? Information for those interested in buying Stainless Steel 304L Seamless Pipe/ Tube . India’s Largest stockholder of SS 304L Pipe offer best price in India. Ashtapad Overseas is a leading supplier of welded pipes and tubes providing an extensive selection of all grades and dimensions to the oil & gas Industry. India’s Largest stockholder of SS 304L Pipe offer best price in India. Need to decide between Stainless Steel 304L welded tubing and Stainless Steel 304L seamless tubing? 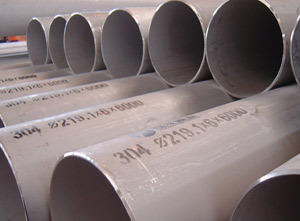 Stainless steel pipe and tubes have good to excellent corrosion resistance. India’s Largest stockholder of SS 304L Pipe offer best price in India. Looking for trusted dealer & distributor for Thick wall SS 304L tube in Netherlands? Information for those interested in buying Stainless Steel 304L Pipe/ Tube . India’s Largest stockholder of SS 304L Tube offer best price in India. 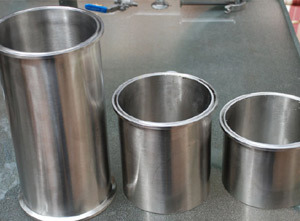 Looking for trusted dealer & distributor for Stainless Steel 304L Tube for Tube Clamp in India? Information for those interested in buying Stainless Steel 304L Seamless Pipe/ Tube . India’s Largest stockholder of SS 304L Pipe offer best price in India. 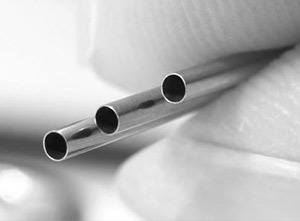 Stainless Steel 304L Precision tubes in sizes according to ASTM/ASME. 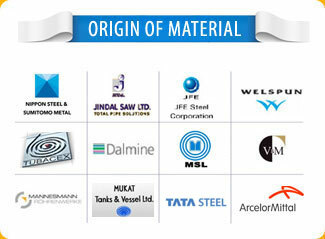 SS Pipe is supplied annealed and pickled in random lengths or cut to fixed lengths in steel grades ASTM. India’s Largest stockholder of SS 304L Pipe offer best price in India. Looking for trusted dealer & distributor for Stainless Steel 304L Seamless Pipe in Europe? Ashtapad Overseas stocks stainless welded pipe per ASTM A312 in 304/L, 316/L. Other alloys available. Pipe Schedules from sch 5 to double extra heavy. 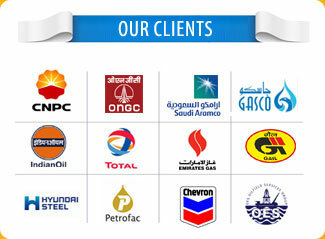 Looking for trusted dealer & distributor for Stainless Steel 304L Polished Pipe in UAE? Information for those interested in buying Stainless Steel 304L Polished Pipe/ Tube. SS Polished pipes are better suited to environments where corrosion resistance is a greater factor than pressure containment. Looking for trusted dealer & distributor for Stainless Steel 304L Capillary Tubes in KSA? Information for those interested in buying Stainless Steel 304L Capillary Pipe/ Tube. 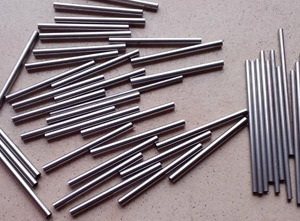 India’s Largest stockholder of SS 304L Capillary Tube offer best price in India. Looking for trusted dealer & distributor for Stainless Steel 304L Coiled Tubings in Malaysia? Ashtapad Overseas offers an extensive range of Stainless Steel 304L Coiled Tubings, ERW and Welded pipe both from stock and on order. 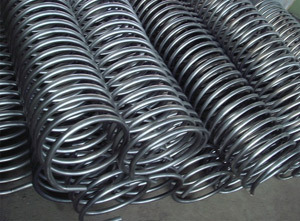 Stainless Steel 304L Coiled Tubings are supplied with mill test certification and quality. Looking for trusted dealer & distributor for Thin wall stainless steel 304L pipe in Singapore? Information for those interested in buying Thin wall stainless steel 304L pipe . India’s Largest stockholder of SS 304L Pipe offer best price in India. The benefits of Stainless Steel 304L Welded Tubes include its tensile strength, yield strength, fatigue resistance, toughness, and wear resistance. As suppliers of seamless and welded stainless steel 304L pipe, Ashtapad Overseas specializes in SS304, SS304L, SS321, SS321H, SS316L, SS347H, SS317L, Duplex 2205/UNS 31803, Super Duplex 2507, 904L and stainless steel 446 Pipes & Tubes. Stainless Steel 304L Welded Tubes may be furnished bare or coated and with capped ends. Tubes and pipes up to 3” OD will be supplied in bundles. 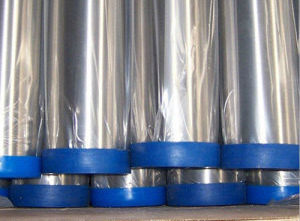 In order to prevent rust during sea shipment, bundles of Stainless Steel 304L Welded Tubes may be wrapped with polypropylene sheets, and secured with flat steel bands. Over 3” OD will be supplied loose. 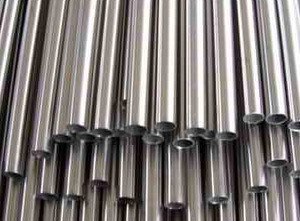 Looking for Stainless Steel 304L Welded Tubes specialized & reliable suppliers in India? We have supplied Stainless Steel 304L Welded Tubes to 280+ companies from Oil & Gas Industry, Petrochemical, Offshore & Onshore Projects, Rigs, Chemical & Fertilizer companies in more than 80 countries. Range of Stainless Steel 304L Welded Tubes according to ANSI/ASME 36.19M – Stainless Steel Pipe. 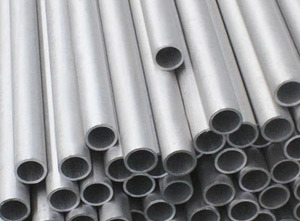 Stainless Steel 304L Welded Tubes Manufacturers in India, ANSI B 36.10 Stainless Steel GR. 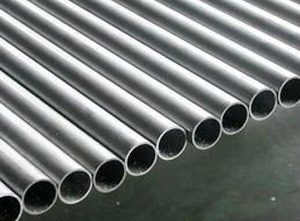 304L Seamless Round, Square, Rectangular, Hydraulic Pipes supplier, stainless steel seamless tube, welded tube, seamless pipe and welded pipe, Stainless Steel 304L Pipes Suppliers, Stainless Steel 304L Tubes Manufacturers, SS 304L Pipes Exporters in India, Instrumentation Tubes Supplier, tubular piping material supplier in India, Stainless Steel 304L Welded Tubes distributor, stockholder and supplier in Iran, Singapore & Saudi Arabia, prime quality Stainless Steel 304L Welded Tubes, Source for Stainless Steel 304L Welded Tubes, specialize in Stainless Steel 304L Welded Tubes, Stainless Steel 304L Welded Tubes with Mill & Test Certificate, wide range of Stainless Steel 304L Welded Tubes, Stainless Steel 304L Welded Tubes China, Europe, Manufacturers of SS 304L Pipe/ Tubes in India.